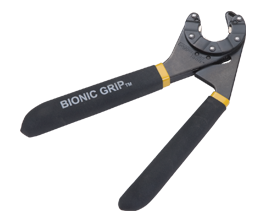 One 6 inch Bionic Grip® replaces 14 metric and SAE wrench sizes, spanning 1/4 inch to 9/16 inch and 7 mm to 14 mm and instantly grips pipes, fasteners and fittings from 1/4 inch to 9/16 inch. 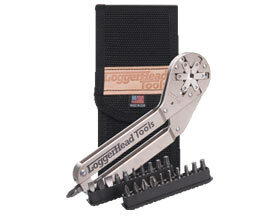 © 2015 Loggerhead Tools. All Rights Reserved. 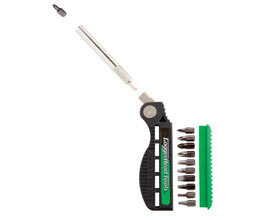 At Loggerhead Tools LLC we design, develop, and market innovative new-to-the-world hand tools. 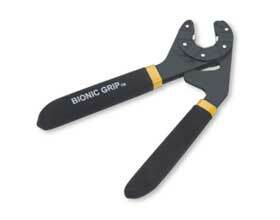 Our tools are manufactured in the United States. We believe your work should be easier, faster, and more professional; so we create tools that improve your results. 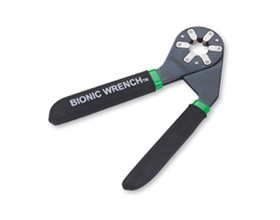 You can count on the quality of our tools because they're guaranteed forever! Someday your kids will enjoy using them too. 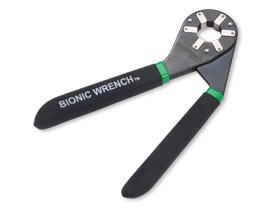 Our founder, Dan Brown, is a Chicago inventor with over 28 U.S. patents.